 South Cairns Gymnastics is a community based, non-profit organisation that is managed by the services of Gymsports FNQ. The SCG committee works in conjunction with GymSports FNQ staff to provide a range of gymnastics and cheerleading programs, which begins with Kindergym for our littlies who are as young as two years, through to catering for variety of recreational enjoyment classes for both boys and girls of all ages and also offers a non-competitive levels program, competitive Artistic Gymnastics and recreational Cheerleading. Our club is community focused, promoting a ‘whole club’ culture. We host, both in-house and off site, a number of social events through-out the year. Movie nights, Club Sleep-overs, Tumble in the Tropics display, Halloween Invitational, Christmas Pool Party are an annual part of the SCG calendar and you’re invited!